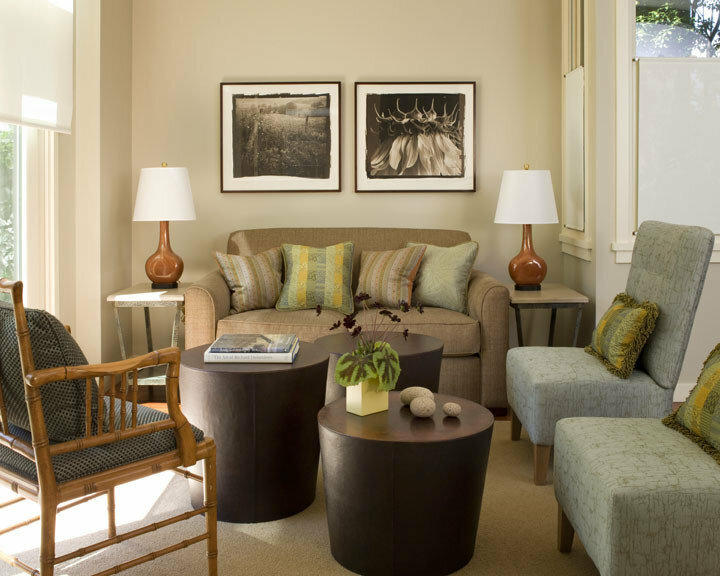 After returning to the Bay Area from the East Coast, these empty nesters brought only their prized furnishings and art collection that now comfortably mingle with contemporary furnishings, many designed and created by local artisans. 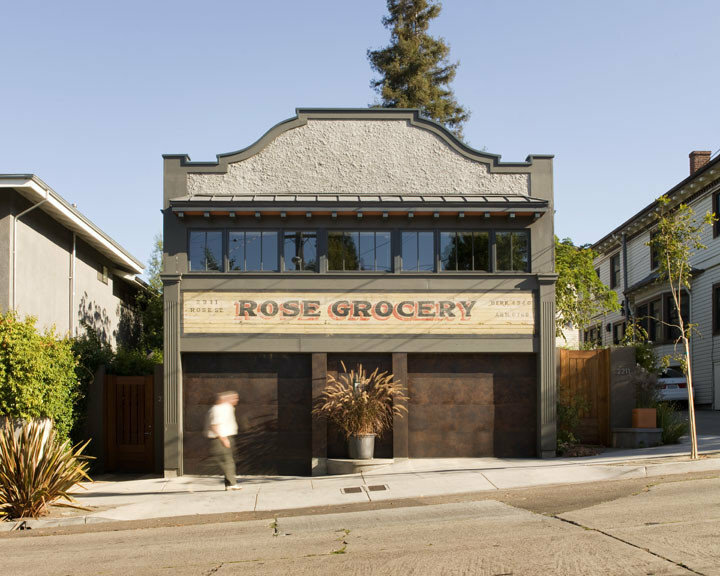 The architect recreated the facade of Berkeley's historic Rose Grocery to maintain its architectural significance to the neighborhood. 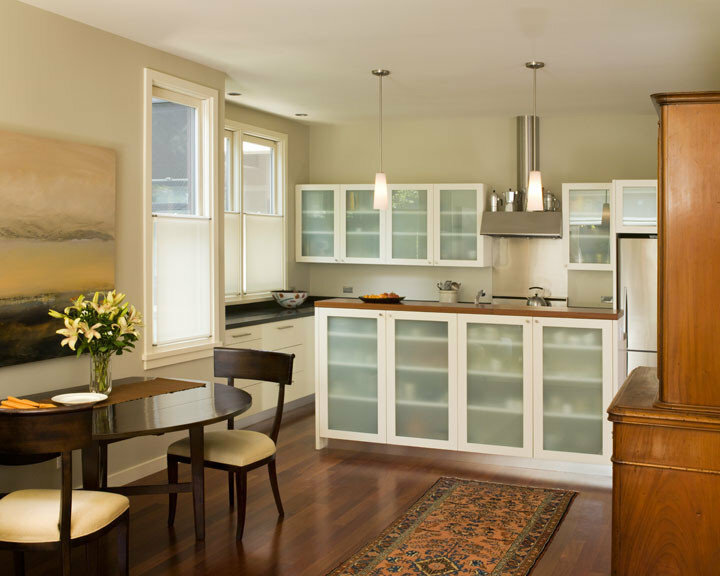 What was once designed as a large living space, was divided into smaller spaces for living and casual dining. 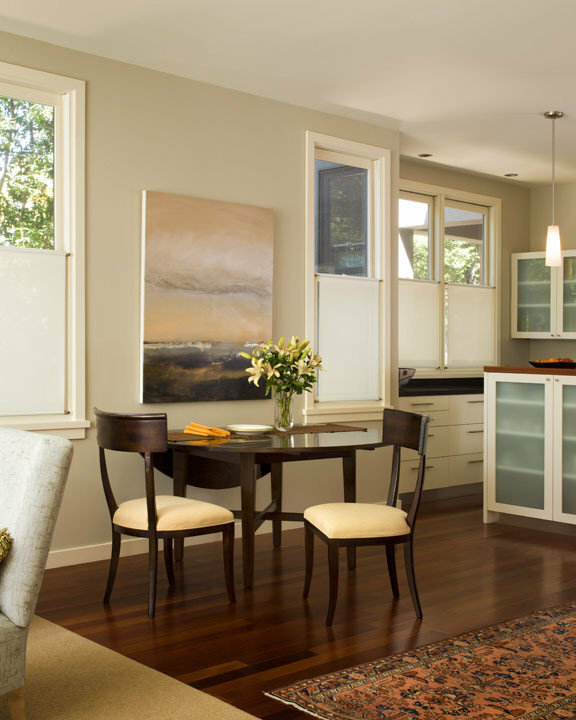 Custom designed half-window solar shades provide privacy and allows natural light to enter the home from the west. The casual dining area is located between a small living room and kitchen. A drop-leaf table pulls out to accommodate eight diners comfortably. This clean contemporary townhouse provides an ideal backdrop for the owners' lively quilts, and black and white photography collection. 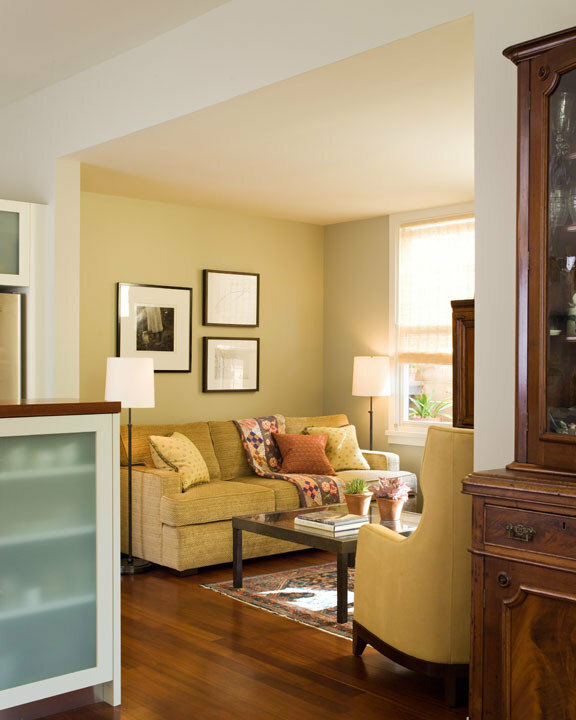 Once a formal dining area, our clients were happier using the area as a den. An artist's studio with vaulted ceilings above the garage includes custom built-in cabinetry and fabric storage to keep swatches organized. 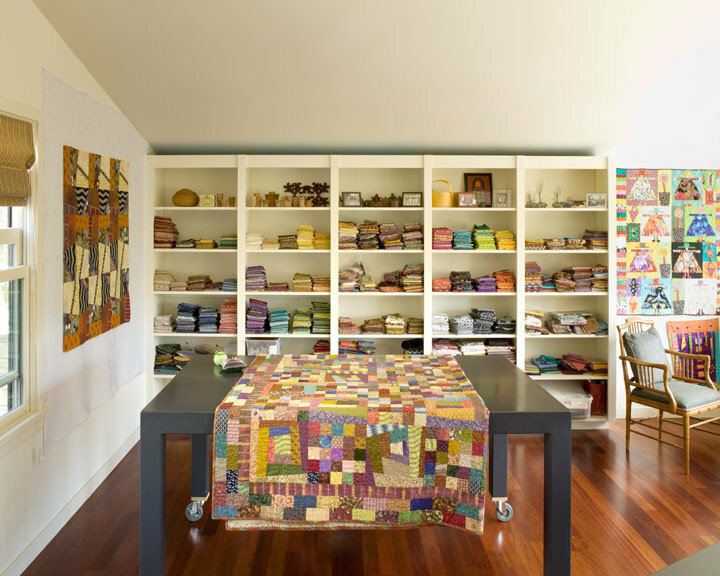 The addition of wheels to the clients' dining room table allowed us to repurpose it as a work surface for quilting. 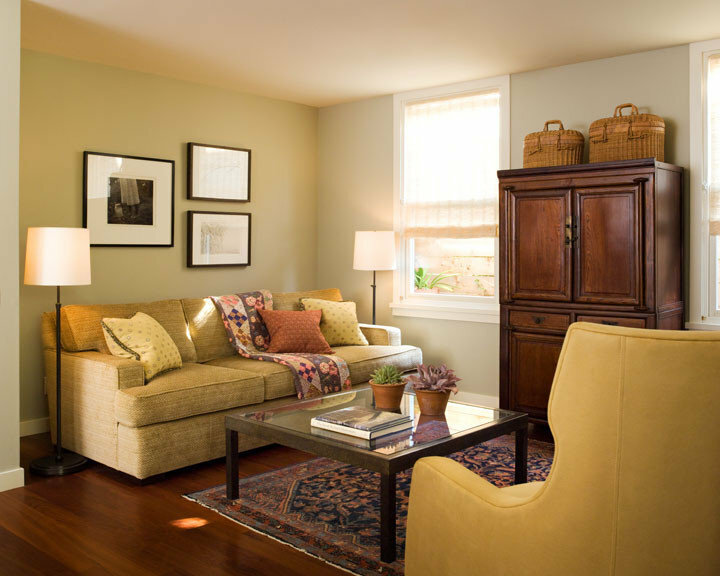 A small half bath also allows the space to be used as a second guest room.